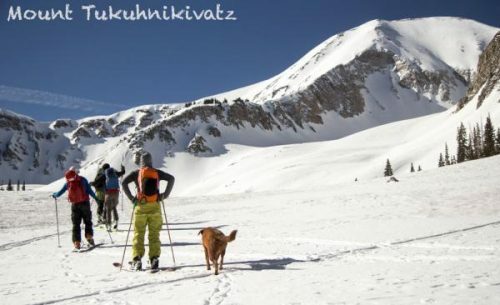 Utah-based media company Park City People launched a photo report on backcountry skiing La Sal Mountains Mount Tukunikivatz, featuring an extensive photo gallery and useful tips and resources. Park City People, a media company specializing in action sports photos and videos, launched a new photo report on Backcountry skiing La Sal Mountains Mount Tukuhnikivatz. The article features essential information on the location and access route, the skiing difficulty level, as well as some useful tips for anyone interested in exploring one of Utah’s most iconic mountains. According to the report, backcountry skiing Mount Tukuhnikivatz is a long and challenging adventure that requires careful preparation and knowledge of the area. Skiing the peak is a challenge which requires extreme endurance and expert level skiing abilities. The report offers useful information on the location of the Mount Tukuhnikivatz, providing topographic maps which show the route from Geyser pass snow park to Mount Tukuhnikivatz, and locations of the Little Tuk on the peak’s north flank. Since the approach is long, backcountry skiers are recommended to start at Geyser Pass Snow Park to shorten the distance. Readers will also find an overview of the backside of Mount Tukuhnikivatz, which has 3 off the biggest vertical ski descents in Utah. These chutes descend more than 3,200 feet each. The report also points out the location of El Pinche couloir on the flanks of Talking Mountain to the east of Mount Tukunikivatz. The Park City People report estimates the danger level of this ski descent to be of high level, due to the mountain range being notoriously prone to avalanches. The report features a short video, and an extensive photo gallery documenting a full ski trip. The photo report is part of the media company’s efforts to document some of Utah’s most iconic adventure areas. The official Park City People website also features a wide range of other photo reports and articles on skiing, rock climbing and mountain biking.